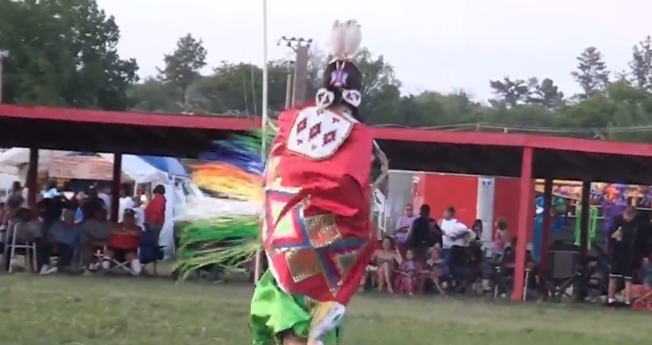 The Crazy Horse Ride and Veterans' Powwow are annual events held in early June by members of the Oglala Lakota Sioux tribe of the Pine Ridge Indian Reservation in Pine Ridge, S.D. In 2007, the Veterans' Powwow celebrated its 22nd year of honoring all armed-service veterans with drumming, dancing, and singing. A three- or four-day day event, it also features a Saturday parade and daily specials and tributes to veterans and soldiers in active duty. In 1998, Charles Brewer founded the Crazy Horse Ride, to take place just before the Veterans' Powwow, to honor the great Oglala Lakota Sioux warrior chief, Crazy Horse. Brewer also wanted to express gratitude for warrior culture and to pay tribute to all war veterans. The four-day horse ride begins in Fort Robinson, Nebraska, where Crazy Horse was killed in 1877, and it terminates in Pine Ridge at the grounds of the Veterans' Powwow. About 200 people typically take part in the ride, many of them children and young people from the Pine Ridge Indian reservation. The powwow and ride are open to all. Responses to "13 Yrs Old Young Lakota Warrior "Miracle Spotted Bear" Sings at Crazy Horse Memorial"